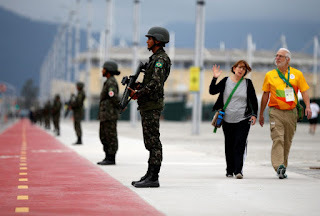 Brazil's President Michel Temer handed the military full control of security in Rio de Janeiro in an increasingly desperate fight to tame runaway gang violence. 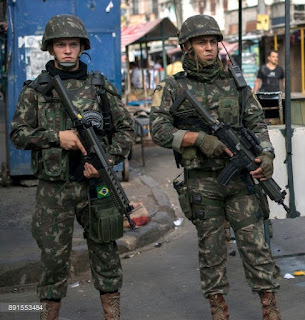 Army patrols are common in Rio's gang-ruled favelas, but a decree signed by Mr Temer now gives the military full control of security operations in Rio state, which the president said had virtually been seized by organized crime gangs. The country has seen a wave of violence that prompted the defence minister to declare last month that "the security system is broken". 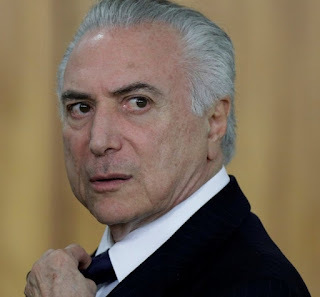 Michel Temer has been battered by corruption allegations He described organized crime as "a metastasis that spreads through the country and threatens the tranquility of our people". Rio state's governor issued an apology after the carnival in Rio was marred by violence and muggings.